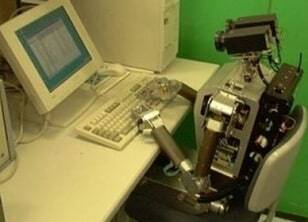 Are humans becoming obsolete in the workforce? All signs point to "yes." As IBM's Watson proved on Jeopardy, robots are becoming smarter than people. They also make fewer mistakes and they don't get bored. By 2013 there will be 1.2 million industrial robots working worldwide — that's one robot for every 5,000 people, according to Marshall Brain, founder of How Stuff Works and author of Robotic Nation. Robots are currently analyzing documents, filling prescriptions, and handling other tasks that were once exclusively done by humans. 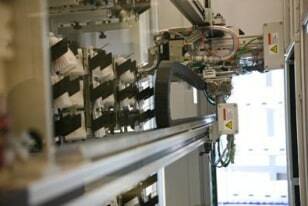 The next time you drop off a prescription order, you might see a robot behind the counter. The UCSF Medical Center recently launched an automated, robotics-controlled pharmacy at two UCSF hospitals. Once computers at the new pharmacy electronically receive medication orders from UCSF physicians and pharmacists, the robotics pick, package, and dispense individual doses of pills. Machines assemble doses onto a thin plastic ring that contains all the medications for a patient for a 12-hour period, which is bar-coded. The pharmacy system, which was phased in over the past year, so far has prepared 350,000 doses of medication without error. This fall, nurses at UCSF Medical Center will begin to use barcode readers to scan the medication at patients’ bedsides, verifying it is the correct dosage for the patient. The automated system also compounds sterile preparations of chemotherapy and non-chemotherapy doses and fills IV syringes or bags with the medications. Instead of paying an army of lawyers and paralegals to review documents, software can do the job in a fraction of the time for a fraction of the cost. 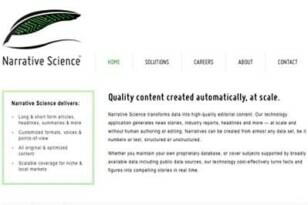 The New York Times reported that Blackstone Discovery of Palo Alto, CA provided software that helped analyze 1.5 million documents for less than $100,000. Google announced last fall that it was working on automated cars as a way to increase safety and help humans reduce the time spent commuting to work. With human supervisors in the passenger seat, seven test cars have driven 1,000 miles without human intervention and more than 140,000 miles with only occasional human control. 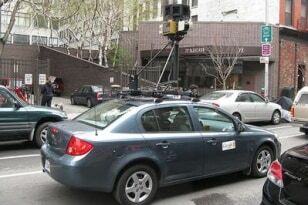 "Our automated cars, manned by trained operators, just drove from our Mountain View campus to our Santa Monica office and on to Hollywood Boulevard," said Google engineer Sebastian Thrun. "They’ve driven down Lombard Street, crossed the Golden Gate bridge, navigated the Pacific Coast Highway, and even made it all the way around Lake Tahoe." 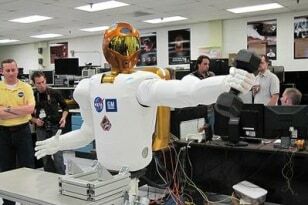 Through a partnership with General Motors, NASA's Robonaut2 is the latest example of android technology. Equipped with a wide array of sensors and dexterous five fingered hands, it will initially handle menial jobs such as cleaning the spacestation and assisting humans in space operations. However, it could one day venture outside the station to help spacewalkers make repairs or perform scientific work, according to NASA. Companies are increasingly looking for ways to sell more products with fewer employees. ATM machines reduce the need for bank tellers, virtual assistants can answer the phone 24 hours a day, and self-service machines are reducing the need for checkout clerks. Retail employment has barely budged over the last year despite stronger sales at major chains. Meanwhile, $740 billion was transacted through self-service machines in 2010, up 9 percent from 2009, reported the Los Angeles Times. That number is projected to rise to $1.1 trillion by 2014. Although soldiers have yet to be replaced by an army of robots, we seem to be moving in that direction as drones and other machines are increasingly being used in reconnaissance and combat missions. One example is the the MAARS (Modular Advanced Armed Robotic System), made by Foster-Miller, which has provided armed robots in Iraq. 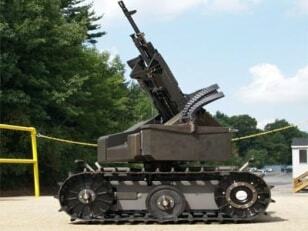 According to Wired, the robot is equipped with a GPS monitor; it can be programmed to differentiate between fire and no-fire zones, to open doors, and even to drag out injured bodies. If there's anything we've learned from Hollywood, it's that robots are not only deadly weapons, they are also great for entertainment. 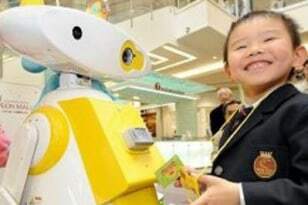 Aeon Co., a major Japanese retailer, introduced a four-foot-tall yellow and white robot at a store in 2008 whose job is to babysit children while the adults shop. Other models include the Hello Kitty robot, which is perfect for "whoever does not have a lot time to stay with child," according to a vendor and NEC’s PaPeRo robot, which tells jokes, gives quizzes, and can track kids using a radio-frequency identification chip. Robots can reach areas that are inaccessible to humans and provide crucial help in rescuing victims from natural disasters. Scientists such as Satoshi Tadokoro of Tohoku University, based in Sendai, have offered the use of their robots to assist in the rescue efforts that are underway in Japan. 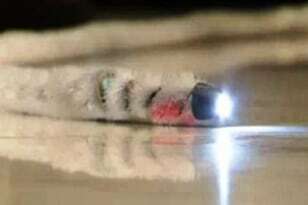 Tadokoro has offered the use of a snakelike robot that can enter tight spaces and use a camera to survey them, which could be helpful in collapsed buildings. For now, the most useful robots could be aerial drones that can provide aerial inspections or ROV’s, which can help locate underwater objects and determine the condition of bridges and pipelines, according to the Center for Robot-Assisted Search and Rescue at Texas A&M University. Using software developed by Northwestern University, Narrative Science specializes in machine-generated stories. One of its customers, the Big Ten Network, which is partially owned by Fox Cable, says it uses the service for baseball and softball coverage because it's cheaper. "It's considerably less expensive for us to go this route than for us to try to have our own beat reporters at each one of these games," Michael Calderon, Big Ten's director of new media, tells Bloomberg Businessweek. After a game, scorekeepers e-mail game data to Narrative Science, which feeds it into a computer and spits out a story in minutes.